With a drawing calling for precision sharp metal edged components, Browne & Company sought out a vendor with superior metal etching capabilities. In a bid to outperform a competing patented product, Switzer's go-to conventional etching methods could not be utilized for Brown & Company's designs. Switzer was faced with the task of delving into the unknown to explore unconventional metal etching alternatives. The need from Browne & Company? A variety of cutting-edge metal food graters, each effectively tailored metal blades for a specific application. Using new metal etching techniques, Switzer developed multiple prototypes, each with slightly modified degrees of sharpness. From the shape and size of the individual teeth, to the bend angles and etch ratio, each prototype consisted of differentiated cutting edges. The customization of the precision sharp metal edges was crucial, as each design would have to cater to a variety of foods. 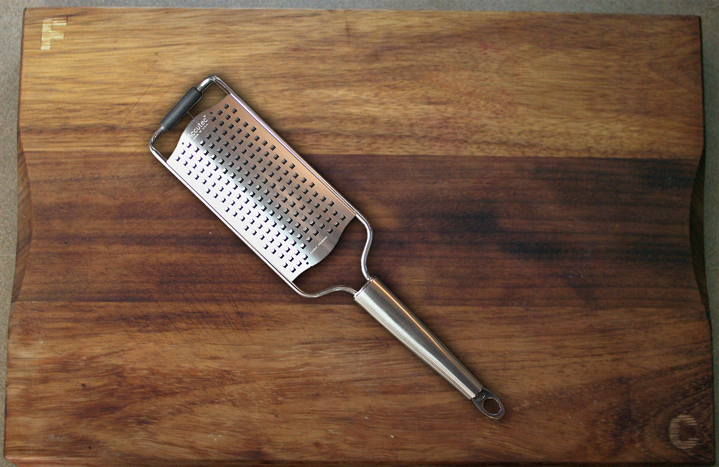 Switzer developed six unique prototypes for Browne & Company – each one “grater” than the last.